Spend less money with target workers compensation programs for Delaware employers. Delaware suffer from some of the most expensive rates on workers compensation coverage in the country. Still far too many business do not shop their policy around to ensure they are taking advantage of all the discounts and programs that are available to help them with their coverage. At Workers Compensation Shop.com, we specialize in workers comp and we are a nationwide agency. Because of this we partner with several insurance carriers who are actively quoting policies in the state. Most agencies only partner with a select few carriers. Because of our specialization and our larger number of partners, we can shop your policy around to get better rates. Also, we have more partners who offer several programs designed for specific industries and for flexible payment options. One very popular program we offer is called Pay as You Go Workers Comp Coverage. With this program we give you the option to pay your premiums monthly instead of in one large payment at the beginning of the term. This frees up cash flow on the front end and prevents over or under paying on the back end of the policy term. This is just one of the many programs we offer to help you get the most out of your workers comp policy. Start a quote here online or call one of our knowledgeable agents at 888-611-7467. We want to quote your business. 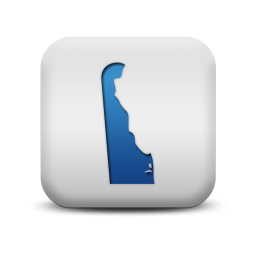 All employers in the state of Delaware are required by state law to carry workers' compensation insurance. Delaware has a tough market for employers when it comes to Workers' Compensation Insurance. It is one of the top ten most expensive states in the country to purchase workers comp coverage. There is little the state can do to combat this because of the small size of the state and the lack of competition amongst carriers. There simply is not enough business in the state to attract many more carriers to begin actively quoting policies. Without more competition there is not much incentive for the carriers who are operating in the state to offer many discounts. Give one of our workers compensation Specialists a call today at 888-611-7467 to learn about or workers compensation insurance programs in Delaware.